And specifically for suhosin.executor.include.whitelist = phar? That should take care of modifying the php.ini on the fly without you updating the config and re-bouncing the server. The major issue you would face is memory. Yeah, the instance comes with small memory allocation and anything memory intensive task might not work there. 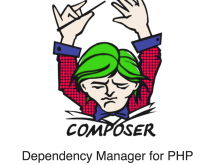 Your composer install command might not do anything as well. It will eat a bit of memory and doing it on the instance might not work as expected. Here are the methods I used to overcome it. yeah, just have all your composer install where you will be comforted by memory in Gigabytes and just zip and ship it to your instance. This is assuming this will transfer your vendor file to instance. Then log into your instance and just uncompress the file and put it on the root directory of your application. This would be just the half of the work. yeah.. this will take care of creating the cache file of the bootstrap along with other stuffs that you put on your composer.json post-update-cmd part.